Bring happiness to your whole family for many summers to come at the Calypso Cove Waterpark! Your Community-wide Family Membership with Calypso Cove provides unlimited access to the family water park for as long as you maintain your membership. With a zero-entry pool, water slides, play structures, gaga ball and more, there is something for everyone! If you are unsure if Calypso Cove is included in your membership, please call 425.1271 and our friendly staff is available to help. "The lifeguards are attentive and friendly, the water features are great and the pool areas are always clean. There are always chairs available and the snack prices are reasonable." "My 5-year-old daughter has taken to it so well...She started out last year afraid to go down the big slide, but by our 3rd visit, she tried them and is now hooked! She also loves the rope ladder and whirl pool. Anything that makes her happy is a winner in my book." Membership rates include all of the benefits of facility membership, plus Calypso Cove when added to the membership. JOIN NOW by clicking on the member type below! As long as you maintain your membership, you NEVER have to pay the pool fee again. The Y is for everyone. We offer affordable membership and program rates, including reduced rates for Calypso Cove, based on household income. Please visit us at the branch or call 502.425.1271 to discuss whether you are eligible for assistance. 6) Something for everyone — zero-entry pool to slides! 1) Pay one time and you're done: Pay the ONE-TIME POOL FEE and enjoy Calypso Cove every summer as long as you maintain your membership! ENTER TO WIN A POOL FEE REFUND! 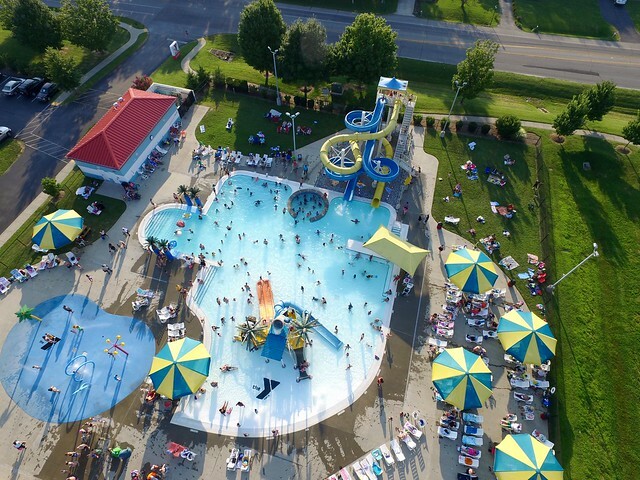 Those who sign up for community-wide Family Membership with Calypso Cove or add the Calypso Cove option now through July 31, 2019 will be entered to win a refund of their pool fee by filling out the form below. Winners will be chosen August 15, 2019.